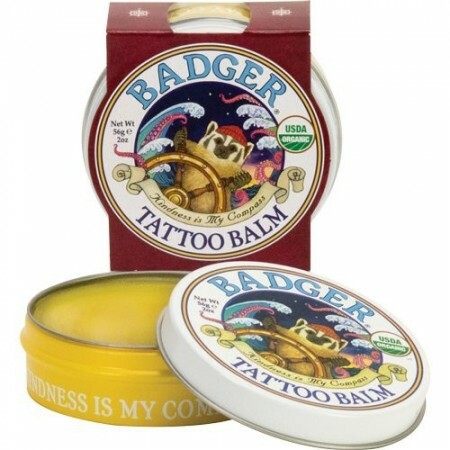 Give new and existing tattoos some love with this soothing aftercare balm! With nourishing Coconut and Tamanu oil, your skin will stay soft, smooth, and show off your ink like new. 56g/ 2oz. 100% natural product containing no petrochemicals, synthetic substances, parabens, GMOs or artificial fragrances. Made from 100% natural and certified organic ingredients. Tamanu Oil and Coconut oil sooth new and existing tattooed skin. Also great for un-tattooed dry or sensitive skin. Light with a non-greasy residue. 25% of the product has Fair Trade Certified (USA) ingredients. USDA Certified Organic, gluten free certified by the Gluten-Free Certification Organization, complies with the "Leaping Bunny" Standard. 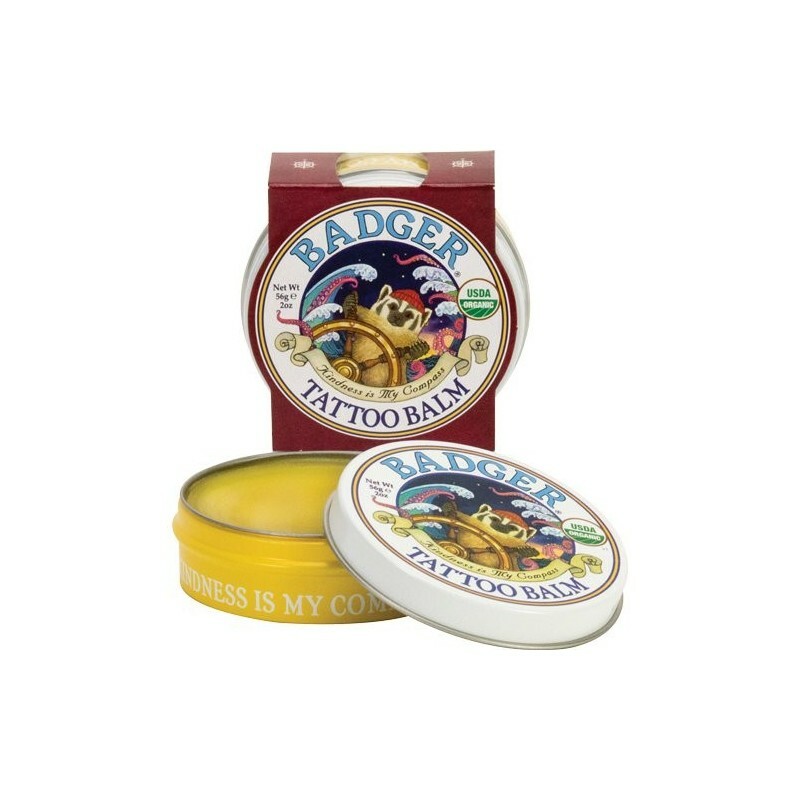 See all our Badger balms, serums and oils.